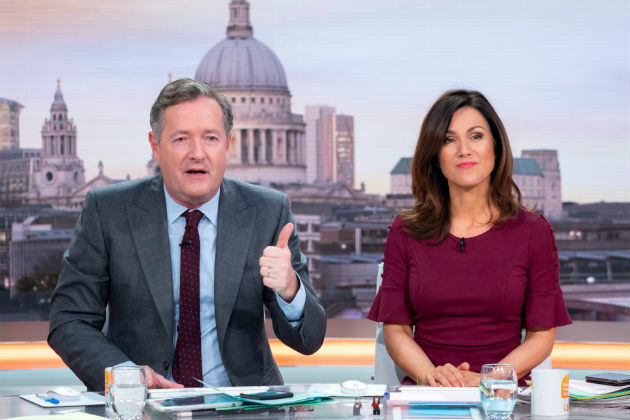 Piers Morgan and Susanna Reid left fans reeling on Monday morning after they discovered the pair are taking some time off from Good Morning Britain. The TV hosts are taking a well-earned break ahead of their trip to Los Angeles to cover the Oscars later this month, with stand-in host Richard Madeley revealing he will front the show with Kate Garraway for the next three weeks. ‘Speaking about sleeping in, I’m afraid that’s what Piers’ is doing right now. You’re stuck with me for three weeks,’ he told viewers this morning. But fans were not happy with the news, with many moaning on Twitter about Piers and Susanna’s absence. One said: ‘Watching @GMB without @piersmorgan is like watching #Arsenal without Arsene #Wenger. It’s still good, but it’s just not the same.#gmb #goodmorningbritain’. And there were plenty more complaints too. 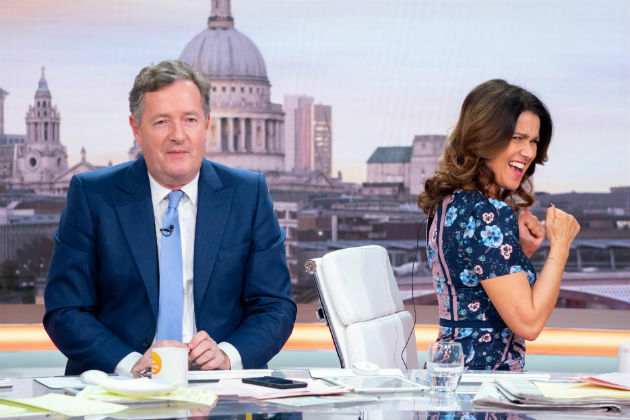 Susanna did actually reveal on Friday that she and Piers would be taking the next three weeks off, with Piers already jetting off to LA over the weekend. This will be the second time the GMB have jetted across the Atlantic to broadcast, with the first being the 2016 presidential election. Speaking on the show last month, Piers broke the exciting news. He said: ‘We have exciting news, we are going to cover the Oscars. ‘We are going to be live in Hollywood covering all things fashion and stars. This is going to be fun! We’re looking forward to this. The special Oscars edition of GMB will see Piers and Susanna joined by celebrity guests Mel B, Perez Hilton and Jane Seymour, while showbiz correspondent Ross King will be presenting from the red carpet.